Get the latest news on the Regent University Royals. Will a Degree Help You Establish a Career? 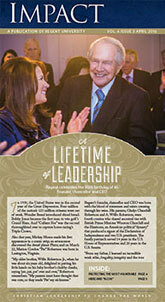 A monthly newsletter published by the Office of Advancement for Alumni and friends of the university.